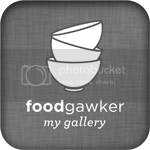 The Allergic Kid: Restaurant Rights and Wrongs: Should You Fake a Food Allergy? Restaurant Rights and Wrongs: Should You Fake a Food Allergy? "Want restaurant staff to take your special request seriously? 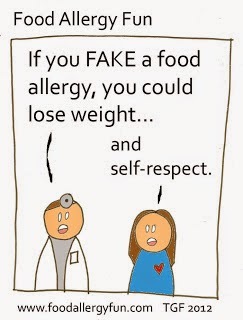 Fake a food allergy!" Health and nutrition gurus regularly offer this bit of ethically challenged advice to their followers. The deception inconveniences hardworking hospitality employees and fouls the waters for those of us managing a life threatening medical condition. Despite this, the number of advocates for this obnoxious behavior continues to grow. One of The Food Babe's travel tips is to "Go as far as telling the server you [sic] allergic to butter and dairy, soy and corn." When The Babe's advice caused an uproar in the food allergy community she updated her article, claiming that GMOs cause food allergies, therefore pretending to have food allergies in order to avoid the foods containing GMOs is justified. Paleo Magazine's list of ways to dine out like a "Paleo Pro" includes "Pretend to be Allergic to Gluten." to make sure the staff is "extra-careful". The article reassures its readers, though, that they shouldn't stress about occasionally consuming "non-paleo" food unless they actually are allergic to it. A writer at Mommyish, whose vegan son stopped eating animals and animal products for ethical reasons, was delighted when she discovered how restaurant staff "spring into action" in response to "the best white lie I ever told." She is so happy with the success of her ruse that she contemplates getting a fake EpiPen. Mara Tyler at MindBodyGreen, whose bio states she "believes in the power of authentic expression", is another vegan at who suggests, without a trace of irony, that faking an allergy to milk and eggs "elicits more trustworthy service" in restaurants. So is faking a food allergy a "life hack" for healthier eating, a "pro tip" to dining out well, or a "secret" for receiving first class service? Absolutely not. You will discover, though, that waiters really do hate this trick. Preparing a meal so that it is safe for a person with food allergies is not a special request, but rather a medical accommodation. Not only does the dish need to be free of the ingredients that the diner is allergic to, but the restaurant must insure that absolutely no cross-contamination takes place. Done correctly, this means that the prep area, pans, and utensils must be cleaned, new containers of food opened, and usually also requires having a specific staff member assigned to the order from start to finish. It's a real inconvenience, especially for a busy kitchen. We only visit restaurants that make a point of catering to people with food allergies, try to avoid lunch and dinner rushes, and make sure we tip appropriately for the additional effort our order requires. Going out to eat is a risk that we carefully manage so that my son can occasionally travel or enjoy normal social activities. We count on the expertise and professionalism of restaurant staff to keep him safe. Abusing their goodwill makes them less willing to make that effort. If you would like to have your dietary choices taken seriously, try making a clear, polite request. Treat restaurant employees with respect instead of trying to deceive them, and you might receive some in return. Thank you Tiffany for always saying it best! 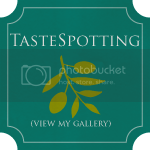 Welcome back to the blogosphere! You've been away too long. We missed you. Well said. 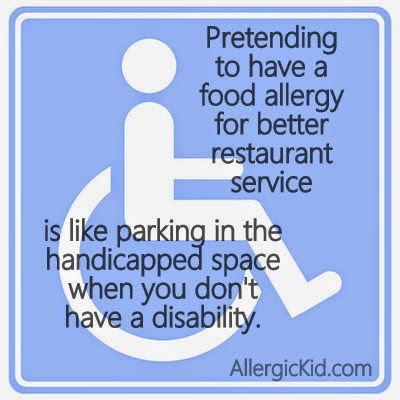 It definitely upsets me to hear about people "faking" a food allergy. If only they knew what it was really like to live with one. This is appalling. While I knew that some use food allergies as an excuse in restaurants, I had no idea there were people promoting it!